While I’m by no means a Disneyland expert (this was my first visit after all), I feel I can confidently suggest the Disneyland Hotel because it really captures nostalgic Disney. 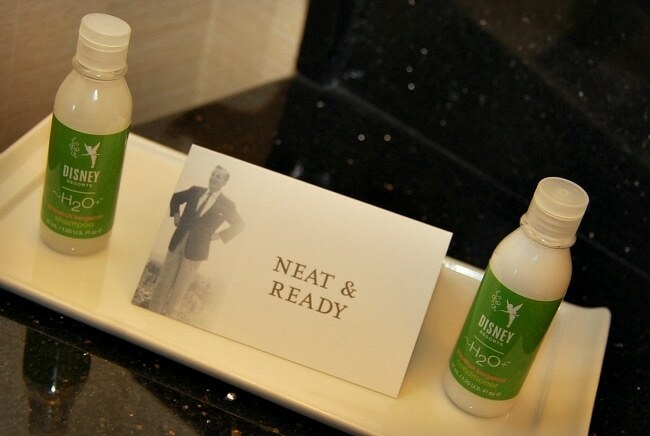 Around the resort there are nods to Walt Disney, the man who started it all. The feel is distinctly retro, which perfectly compliments the spirit of Disneyland as the first Disney theme park. 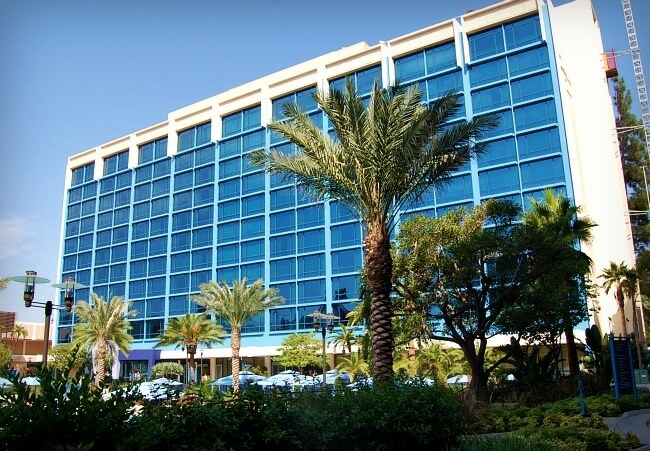 From the outside, the Disneyland Hotel is a little underwhelming, especially when compared to any of the resorts at Walt Disney World. That feeling immediately turns around when you walk into the lobby, which smells delightful. I’m not sure what the scent it, but it’s inviting and distinctly Disney! The cast members at check-in are warm and friendly, making you feel right at home. That’s when the magic officially begins! 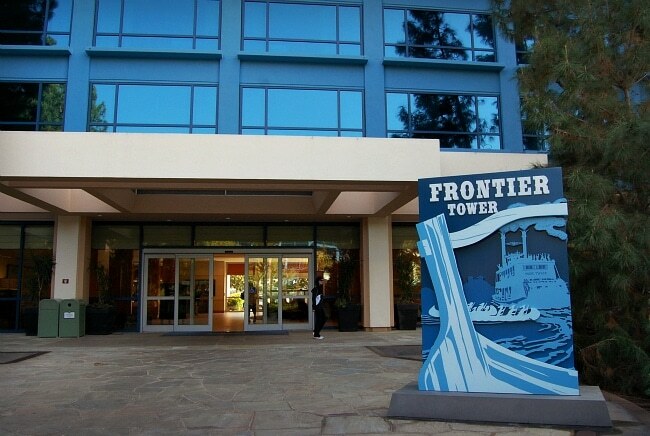 Guest rooms are located in either Adventure, Fantasy or Frontier Tower; each themed after one of the original “lands” of Disneyland Park. 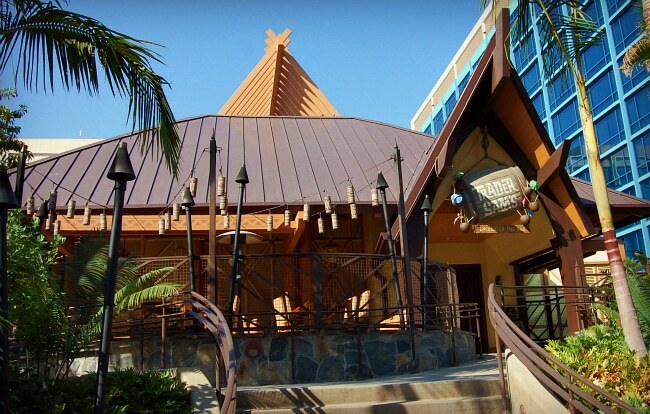 I was fortunate enough to stay in Frontier Tower on the outer edge of the resort. 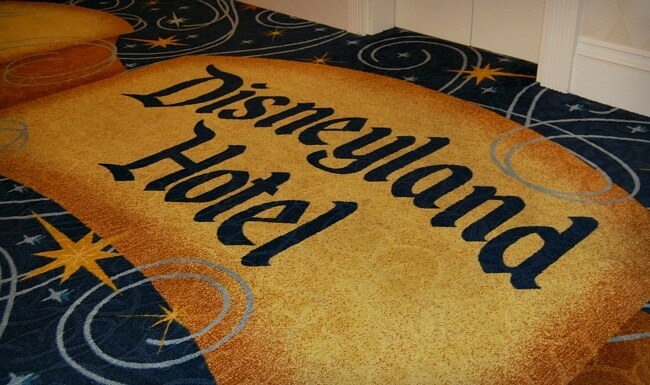 Fun fact: The original Disneyland Hotel was built in 1955, but the Walt Disney Company didn’t acquire it until 1989. 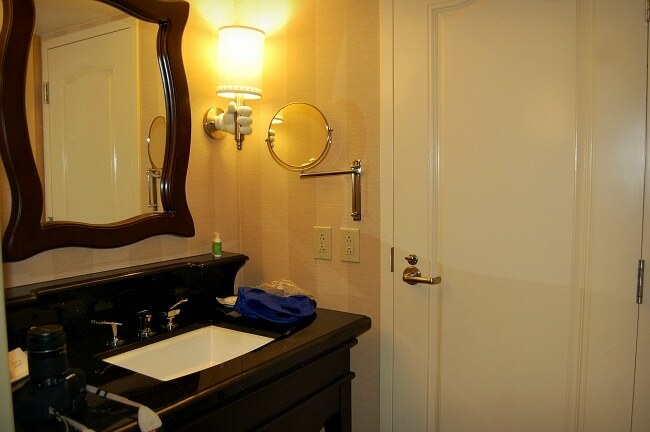 The rooms are classy and refined with subtle touches of Disney scattered around. 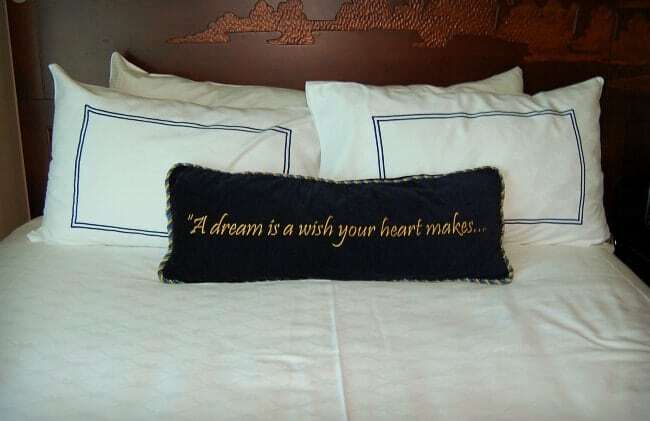 The pillows on the bed had me giddy with excitement– one says, “A Dream is a Wish Your Heart Makes” and the other says, “When You’re Fast Asleep”. 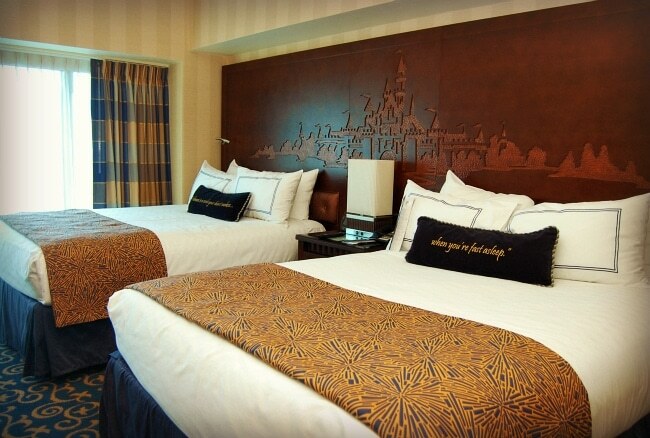 The headboard is a carving of Sleeping Beauty Castle, which lights up and plays music when turned on! Can I just add how tempted I was to take those pillows home!? The bathroom is split to accommodate multiple people. One side holds a toilet, bathtub/shower and sink, and the other side has a sink with a vanity and closet. 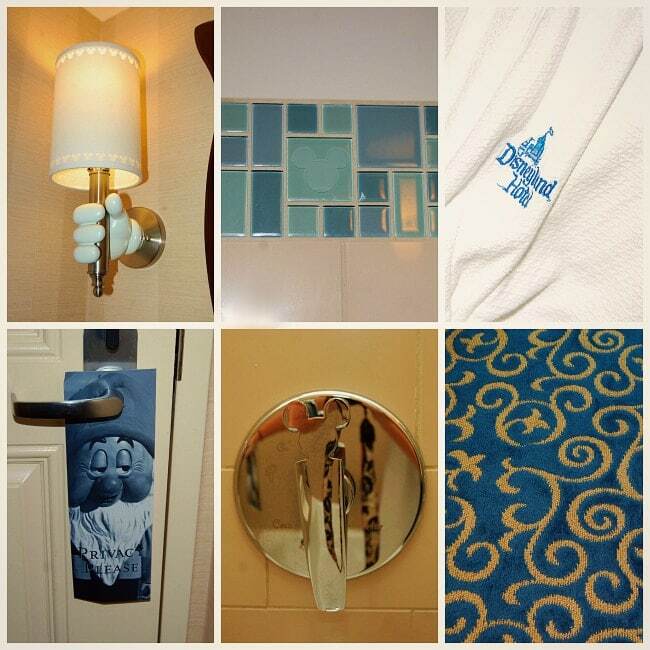 It’s the little touches that make the Disneyland Hotel so special. Can you spot all the hidden Mickey’s? 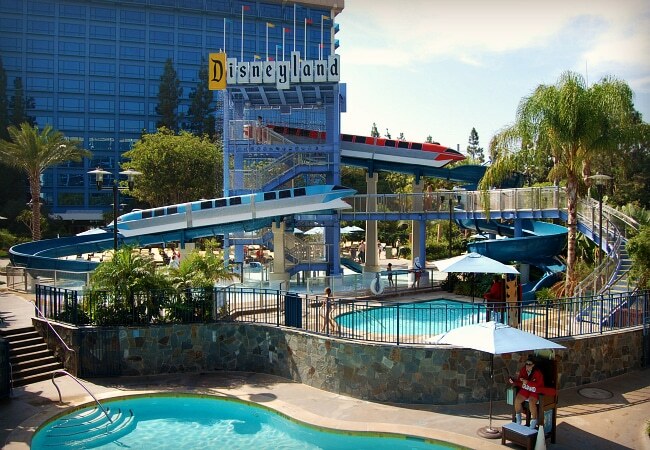 The pool area is pretty cool with two twisty Monorail water slides, a pair of Minnie and Mickey hot tubs, and three pools — “D-Ticket”, “E-Ticket” and Monorail. 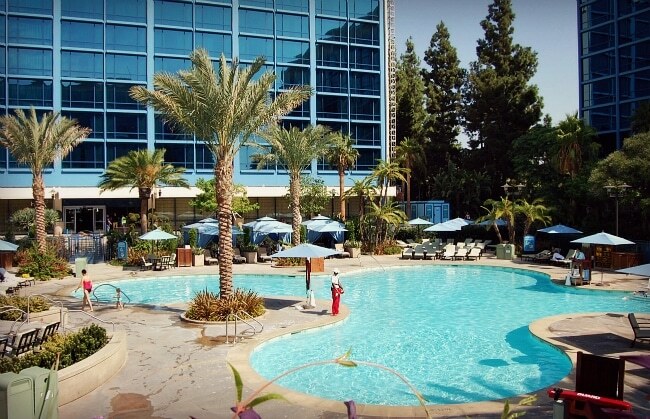 There’s plenty space for families to cool off after a hot day in Disneyland or California Adventure parks. Finally, adults won’t want to miss Trader Sam’s Enchanted Tiki Bar — a fun place to grab an exotic drink, listen to live music and expect the unexpected … it’s guaranteed to be a good time! 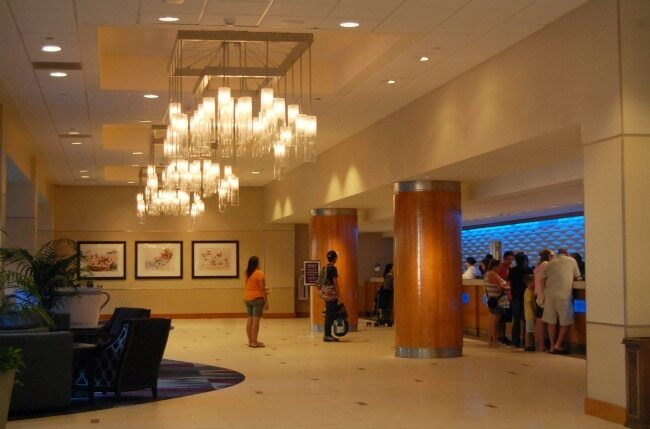 My stay at the Disneyland Hotel was short, but memorable. I can’t wait to return for a longer visit to experience even more of the magic at Disneyland Resort. 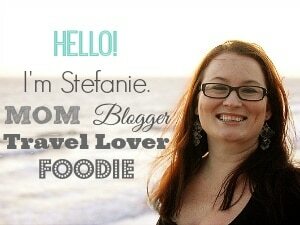 Special thanks to Disneyland for hosting my stay at the Disneyland Hotel. All opinions are my own. While we didn’t stay at the Disneyland Hotel during our last stay, we did walk through the grounds, and you are correct in that they are wonderfully nostalgic. The rooms look beautiful too! I want to go back so I can take more pictures and actually enjoy it! Love yours! last phase 🙂 I handle such info a lot. I used to be seeking this particular info for a very lengthy time.